Context. The maximum size of the Galactic stellar disk is not yet known. Some studies have suggested an abrupt drop-off of the stellar density of the disk at Galactocentric distances R ≳ 15 kpc, which means that in practice no disk stars or only very few of them should be found beyond this limit. 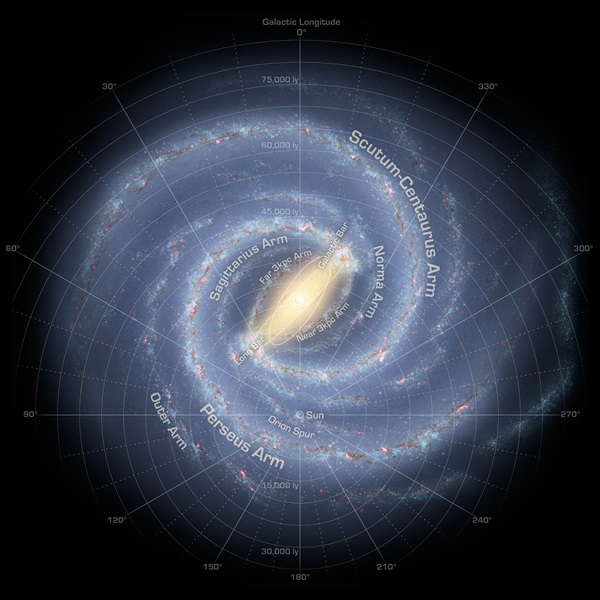 However, stars in the Milky Way plane are detected at larger distances. In addition to the halo component, star counts have placed the end of the disk beyond 20 kpc, although this has not been spectroscopically confirmed so far. Aims. Here, we aim to spectroscopically confirm the presence of the disk stars up to much larger distances. Methods. With data from the LAMOST and SDSS-APOGEE spectroscopic surveys, we statistically derived the maximum distance at which the metallicity distribution of stars in the Galactic plane is distinct from that of the halo populations. Results. Our analysis reveals the presence of disk stars at R > 26 kpc (99.7% C.L.) and even at R > 31 kpc (95.4% C.L.). A água, quem diria, são dois líquidos!